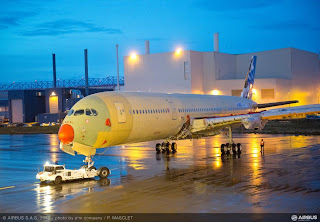 Airbus has successfully completed the main structural assembly and system connection of A350 XWB 'MSN1' – the first flight-test aircraft. 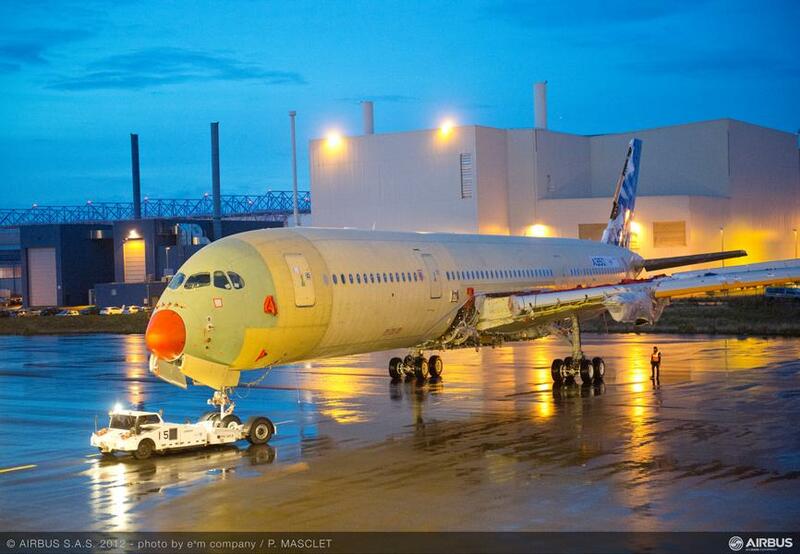 The aircraft is depicted here on its wheels for the very first time moving out of the main assembly hall (Station 40) at the recently inaugurated "Roger Béteille" A350 XWB Final Assembly Line in Toulouse. It then entered the adjacent indoor ground test station (Station 30). 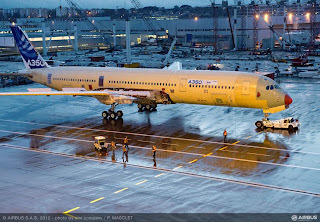 After the A350 XWB MSN1 exits station 30, the aircraft will go through a series of extensive production and certification / development tests, be painted and have its engines installed. It will then be delivered to the flight-line and be readied for its first flight in mid-2013. In a bid to help shape the inexorable march toward more efficient wind power, General Electric Power and Water is developing a new fabric-covered wind turbine blade which promises to cut the cost of wind turbine manufacture significantly, while also allowing a larger blade size, and facilitating easier transportation. The dirigible airship, the oddball aircraft of another era, is making a comeback. California-based Aeros Corporation has created a prototype of its new breed of variable buoyancy aircraft and expects the vehicle to be finished before the end of 2012. 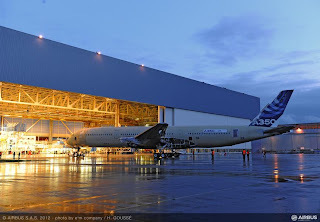 With its new cargo handling technology, minimum fuel consumption, vertical take-off and landing features and point to point delivery, the Aeroscraft platform promises to revolutionize airship technology. 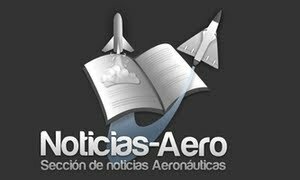 ..
España podría reducir su participación en EADS del 5.5% al 4%. Francia podría reducir su participación en el consorcio del 15% actual al 12%, equiparándose así a la participación que tendrá Alemania, según un nuevo acuerdo al que habrían llegado los gobiernos de París, Berlín y Madrid. F-35C Lightning II Hits Weapons Testing Milestone: CF-2 Completes Initial Pit Drop Testing The F-35 integrated test force at Naval Air Station Patuxent River completed a weapons ejection milestone for the Lightning II carrier variant on Nov. 28. 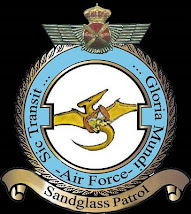 CF-2, the second F-35C test aircraft, ejected a 2,000-pound inert GBU-31 Joint Direct Attack Munition (JDAM) and a 500-pound GBU-12 Paveway II Laser Guided Bomb from an internal weapons bay into a foam-covered concrete pit. Airbus Military Delivers Final A330 MRTT To RAAF: Last Of Five Tanker-Transports Ordered By The Australian Air Force The fifth and final new generation A330 MRTT multi-role tanker transport ordered by the Royal Australian Air Force (RAAF) has been delivered by Airbus Military. 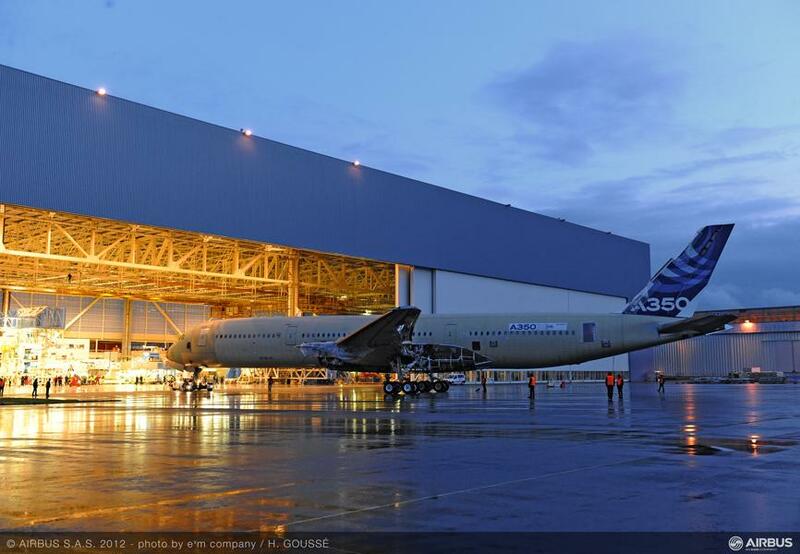 The handover of the aircraft marks a major milestone for the A330 MRTT program.